Noticeably external changes like severe acne or increased aggression. Should you suspect your child, sibling or friend of using anabolic steroids, you can look for a variety of short-term side effects that appear as symptoms. 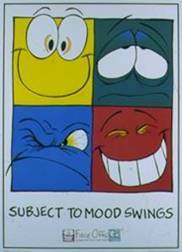 These include visible changes in appearance, mood and behavior. The following information will make it easier for you to identify the specific symptoms, changes and habits of a steroid user. It’s fairly common knowledge that steroids come in the form of injectable oils often packaged in vials or ampules (small often single serving glass bottles with pop off glass tops). 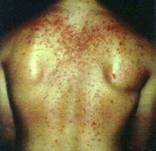 However, they can also be taken orally, or transdermally (rubbed on and absorbed through the skin). Take special note should you see any of the following. Steroid use is often accompanied by or substituted with other products. These substances are taken during, directly after, or in place of steroid cycles (continuous steroid use for defined periods of time, typically 8 to 16 weeks or more). Aromatase inhibitors come in tablet or liquid form, and are taken during cycles to reduce or eliminate many the physical side effects mentioned above. Synthetic estrogens work as anti-estrogens within the male body. They also come in tablet or liquid form, and are used after cycles. This Post-Cycle Therapy (PCT is used to limit the reception (absorption) of estrogen until the body can again produce natural testosterone at normal levels. Testosterone boosters are legal, often all natural (herbal-based) over-the-counter products that stimulate some of the functions associated with the increase in the body’s natural testosterone and lutenizing hormone levels. Because of these properties, they are often used after cycles to aid in restoring natural testosterone levels. NOTE: Some testosterone boosters can be literally converted to anabolic steroids by the body. Others actually contain steroids, and are generally removed from the market shortly after component analyses confirm steroid content. Steroid equipment, or the presence of the specific items listed below is also indicative of steroid use. These are some of the tools steroid users purchase in order to properly administer and store the drugs. "Anabolic Steroids: Your Child’s Road to the Gold or to the Grave?" MomsTeam.com, 2004.